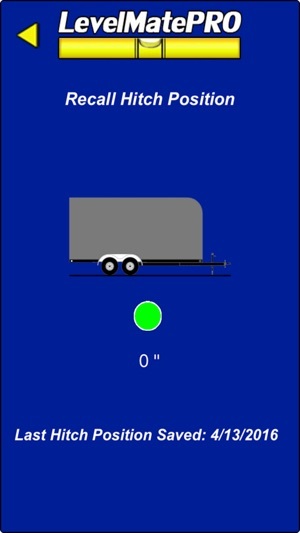 For use with Command Electronics' LevelMatePRO Wireless Vehicle Leveling System, this app allows the user to easily level their towable trailer with speed and accuracy. Great for travel trailers, 5th wheel trailers, motor homes, horse trailers, racing trailers, mobile medical units and food vending vehicles. The LevelMatePRO app interfaces with the LevelMatePRO module installed inside the trailer using Bluetooth and provides the user with side to side and front to rear level adjustment information. 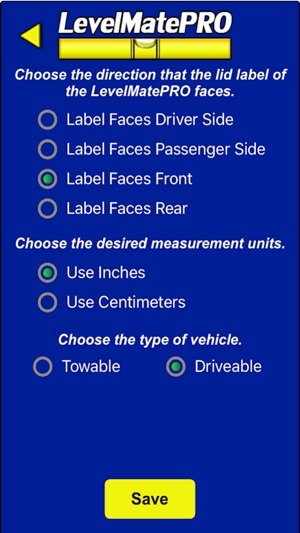 It automatically calculates the required location and height necessary to bring the vehicle into a leveled state. Once installed and configured, simply pull the vehicle to the desired setup location and open the app. The LevelMatePRO app will show where height adjustment is needed side to side and front to rear. For side to side adjustment, use spacers or a ramp under the indicated wheel by the specified amount. When the side to side indicator turns green, your level side to side. 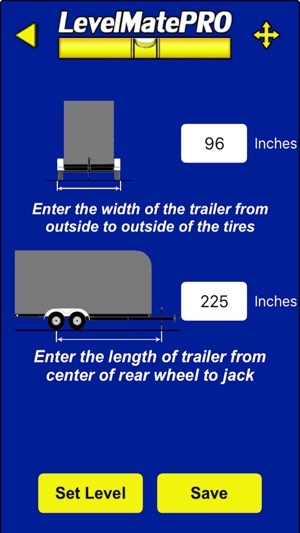 Use the trailer's front jack to adjust the front to rear level. When the front to rear indicator turns green, your level front to rear. 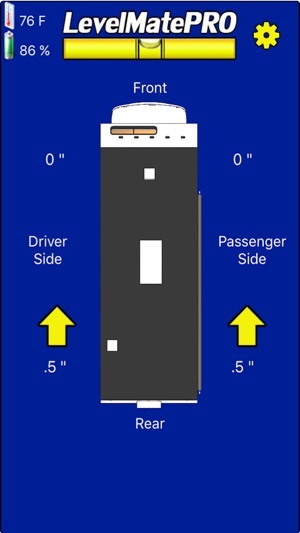 LevelMatePRO also can be used to record the front height required to clear the hitch when disconnecting from a tow vehicle. Simply disengage the hitch, jack up the trailer to a point that clears the hitch and click the Save Hitch Position button. When you are ready to reconnect, start the LevelMatePRO app and click the Recall Hitch Position button. Raise or lower the front jack until the screen shows 0 distance and the indicator turns green. 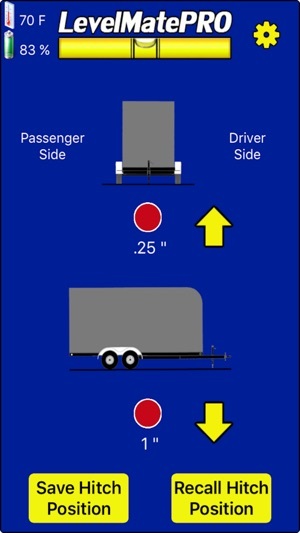 Your trailer is now at a position where it is ready to be connected to your tow vehicle. 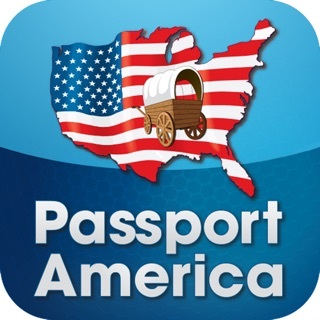 Note: You must possess a LevelMatePRO module for this app to operate completely. Go to www.command-electronics.com for information on how to purchase your LevelMatePRO module. Fixed potential connection issue when learning new device. Set-up as directed by included instructions, connected fine (had to close app on one device to connect to another device), works great! Doesn’t work too well with I Phone 6s too well. Hard to wake, have to run magnet across module almost every time, then it will freeze up while trying to level up.